I just want to say sorry to everyone who follows my blog – I haven’t been able to do anything for my blog over the past couple of weeks. & I’ll tell you why! I’ve just bought my first house with my boyfriend Ben, eek!!!!! 😀 The only thing was, we had to complete the sale in 2 weeks haha so it’s been a bit full on recently (as I’m sure you can imagine). I feel super bad for not posting any recipes, but I have some exciting news! I’ve said this before and I will say it again, social media is such a powerful tool (especially if you use it in the right way). I have met so many amazing people through twitter one of which I want to talk to you about. Vian Shathur. An ambassador for The Natural Whey Company (http://www.naturalwheycompany.com/), a Dental Student at Cardiff University, a fully qualified Sports Nutritionist & BioMedicine Graduate, self confessed nut butter lover (just like me), lover of lifting weights and flexible dieting. We officially met at Body Power Expo this year and it’s as if we had met a thousand times before!! We have SO much in common, it’s like I had known her for years. We had been speaking for a while before we met and she is one of the most genuine and supportive people I have ever met. If I had a crap session or if something/someone had upset me, Vi is the girl I would turn too for advise. She is amazing! So – with everything going on with the house at the moment I decided to ask Vian if she would like to join forces and change REVallance into a joint blog! She said yes and next thing you know, ta da! 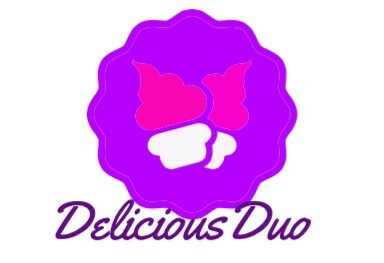 We’re the Delicious Duo! This entry was posted in Fitness, Food, Health, Lifestyle, Recipes and tagged articles, baking, blog, blogging, fitness, health, new blog, partnership, recipes, The Delicious Duo. Bookmark the permalink.